The Reading Agency know that reading for pleasure and information can help you to realise your ambitions and fulfil your potential. That’s why their work focuses on supporting children and adults to read. 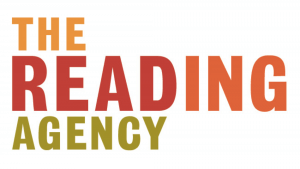 Perhaps best known for running the Summer Reading Challenge and World Book Night, The Reading Agency work with libraries, schools, reading groups, prisons, publishers and the media to get people reading. While The Reading Agency had previously received support from a number of individual donors, Individual Giving had not been a priority for the organisation for a number of years. As part of their efforts to grow and diversify their income they were keen to develop a new Individual Giving strategy. In particular, The Reading Agency was keen to maximise the opportunity presented by one of its most high-profile annual events – World Book Night. Apollo Fundraising was commissioned to develop a campaign to coincide with World Book Night 2018. The completion of the project coincided with significant turnover of staff in the fundraising team at The Reading Agency. As a result, the team at The Reading Agency decided to delay launching an Individual Giving campaign until later in the year.